Manufacturers and wholesale suppliers of machine tools and machining centres, workholding equipment, spindle tooling, engineering tools, hand tools. 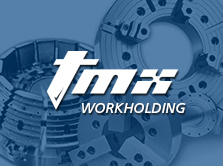 TMX Workholding Solutions solves complex workholding problems for machine tools in Oil & Gas, Medical, Automotive, Agriculture and Aerospace industries, and delivers better support and service throughout the lifespan of your product. 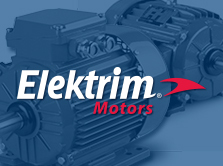 Elektrim Motors designs and manufactures AC NEMA and Metric IEC motors in state-of-the-art ISO 9001 quality systems around the world, and are known to be field-proven powerhouses built to perform where others fail. TMX Tooling Systems offers customers superior quality round, indexable and rotary tool holder products at market competitive prices while the dedicated TMX team delivers help and advice on optimal tool application and performance. 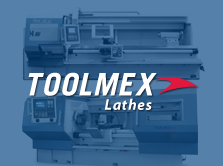 Toolmex Lathes specializes in superior quality European built long bed turning centers. Our four lathe technologies supply the performance, productivity and rugged construction needed for success in a multitude of applications and industries. 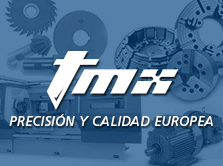 Las Herramientas de corte superior Toolmex ofrecen calidad superior en Brocas, Cortadores Verticales y Redondos, Machuelos, Dados, Rimas, Buriles, Avellanadores, y más; para sus aplicaciones exigentes y ayudándole siempre en sus costos.